Patch-treatment with a shock action. It reduces the visibility of the blemishes caused by cellulite and localized adiposity. 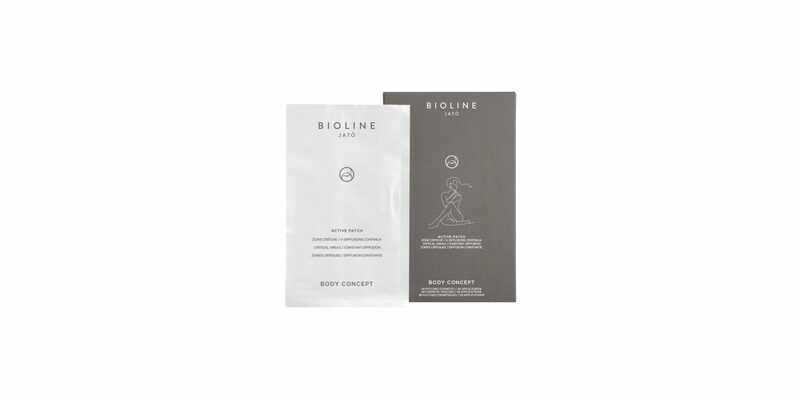 Conditions of use: 2 patches per day for 14 days or 1 patch per day for 28 days on the body areas with blemishes (see instructions on the back of the packaging). It may be used alone or with other specific Body Concept products, for a more intense action. Apply on dry skin and remove after 24 hours. A wide range of products offers customized and versatile solutions for the wellbeing and the beauty of the body. Safe and advanced formulas reduce the visibility of the blemishes caused by cellulite, water retention, local adiposity, sagging and aged skin. A wide range of treatments aimed to different body blemishes offers targeted, efficient and safe beauty solutions. A tested working method, made of high performing application protocols, formulas and functional massages, that allow the beauty specialists to develop highly customizable treatments, according to the needs of every customer.